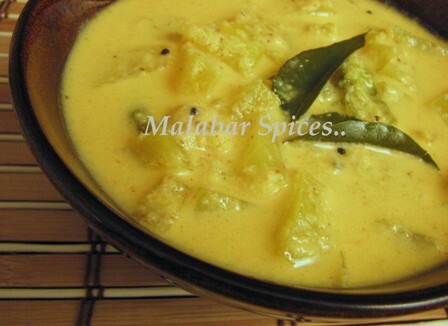 Malabar Spices...: Green Papaya Curry..
You have to start blogging somewhere, right? So let me start with one of my favorite curries..papaya curry. Very common in our households back in Kerala. I remember having a lot of this at my relatives, grandma's and now my parents houses. Probably because almost every house there has a Papaya tree just as they have Coconut trees. As kids, we used to eat semi ripe papaya spiced up with tamarind, red chili powder, sugar and salt...a kind of a papaya salsa. Very potent on the weak stomachs. Last month, I spent $5 (or was it $7?) to get a green papaya at the farmer's market, much to my parent's amusement who immediately converted it into rupees and started relating stories of them having to give away papayas back home and concluded that I have no sense. 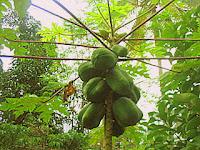 My fellow blogger friend Bharathy has kindly given me these awesome papaya tree photos to add to the post..Thanks a lot! Scrape away the skin of the papaya, remove seeds and wash thoroughly.Cut the papaya into small pieces. Cook it in 2 cups water (double the quantity of cut papaya)with the green chilies, salt, turmeric and red chili powder at medium heat. Adjust the turmeric and red chili powder as needed to get the required color and spice level. In about 10 minutes, the papaya would be soft and it turns transparent when it is cooked. Grind the grated coconut with 2 tablespoon water to a very fine paste. Lower the heat, add the ground coconut and let it come to an almost boil. Remove from the stove top. Seasoning: Heat the oil in a heavy bottom pan. After a minute, lower the heat and add the mustard seeds and cover till it finishes spluttering. Now add the curry leaves and when it is fried, pour the seasoning over the curry. How are you, and how many months is the baby now, is it a he or a she ? How is the older one ? 5 dollar for papaya. I hope u enjoyed till the last portion. So the baby is giving u free time for blogging. I missed your previous post too and have been wondering why you were not blogging as usual, while You have been having a wonderful time with your bundle of joy all this while...Congratulations!! shaheen, you are so right about nostalgic food... I bought a papaya from whole foods a few months back for curry too ;) How is your daughter doing? yummy...i like pappaya thoran ,curry anything with pappaya...cant wait to try this! Congrats! How is the newborn baby? missed reading your previous post. Shaheen, glad that the little one is giving mommy time to update her blog! I am not big papaya fan but the curry looks delicious, how does green tomatoes sound? hey love kapalanga in any form.... will def try this!! Yeah I have seen green papaya in farmers mkt and it was very expensive. But it the end it worth right:). Curry looks simply superb, especially with a touch of mom love n cooking. So how are ur sleepless nights coming along??. I'm going to try this one simply bcos it would be a new one in our household! Thanks for dropping by my blog and your kind words. You know what? I'll dedicate that post to you since yours was the first blog I EVER chanced upon and imagine my delight when I saw our hometowns were the same. I'm the same person who used to sign off as Nitu in your comments section before I started my own blog. Going home in another 3 weeks, I'll introduce this dish to my mom too. So far we were only eating pukka papaya - fruit form! One last q - how come you've never blogged about chattipathiri? Or did I miss it? Love that dish. sandeepa, thanks for the warm hug..bet u are seeing the snow outside now..the baby is a she and is now 2months plus old. priya, thanks alot. it is indeed a wonderful time. care to join the gang? remya, if u like very nadan kerala food, u would like this curry. mandira, the little gal is fine, thanks for asking.. now i am curious as to how u made the curry.do blog or have u already blogged abt it? rp, hmm.. not just crows.. in my house one non stop rain and some of the trees in the sensitive portion of the backyard used to come down so it had to be harvested promptly! pravs, thanks.u must have this curry.. do u have anything to add to papaya recipes? 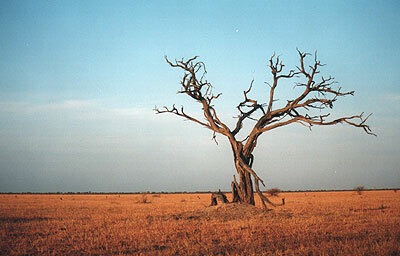 indo. 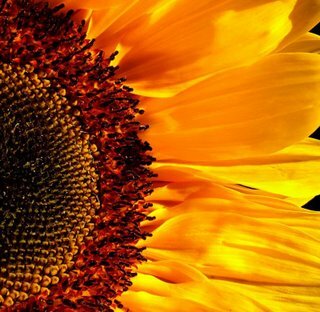 a bit of blogging..green tomatoes may be fine. do try.or u could even make this with bottle gourd or ash gourd. ki, u are right..it is a humble curry.. so u can imagine my mom's amusement!but now so far away from nadu, it looks more appealing than KFC!can u add to my collection with some of urs? shivpriya, sleepless nights are routine now..since i am home, it s ok.can walk around like a zombie the whole day! shilpa, thanks alot for the wishes! nitu.. now i know u..:) lucky gal going home.. do take some pictures and blog soon.thanks a lot for the dedication! u write nicely! rachna,thanks.. i was wondering what is was called in mal. Hey CONGRATS!!!! Enjoying ur time with the li'l one right? what a coincidence...I made raw papaya "pulinkari" on the same day :). 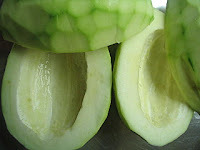 OMG!..250 bucks(indian money)for a green papaya!!!! !Thatz too much..when we get it all fresh and free right from the backyards in Kerala!!! I too posted the stir fry with this veg very recently...do visit when time permits.. Yes, i have a papaya curry posted long back..begining stages of blogging..not any great pics. But a yummy curry i make all the time. And so simple to make.i sure am goin to make this. i am always in the look out for new EASY curries to go with the after noon rice. I was wondering why you quit your job, so how is your new boss doing?? :) Love and hugs to you and the baby? This looks delicious, green is the only way I want my papaya, *have* to try this out! Can this curry be given to a mother a few days (7 days) after delivery? Turned out to be a wonderful curry. I added a pinch of cumin as well. Hubby loved it. Thanks a lot. I will try out more of your recipes.